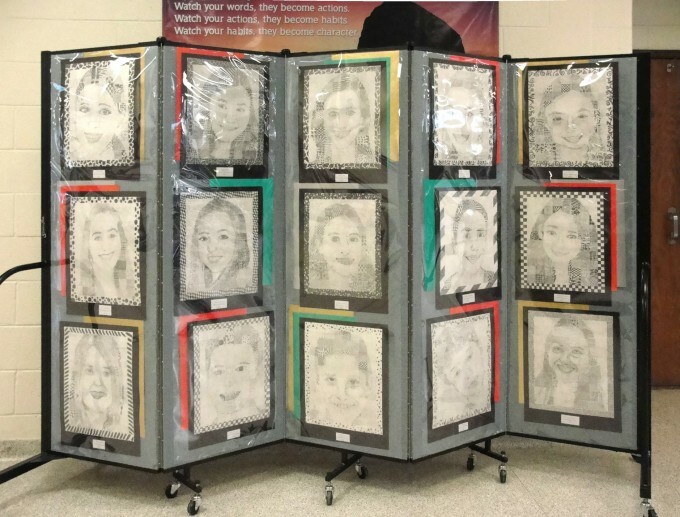 The Meads Middle School administrators highly encourage teachers and students to foster creativity in the learning process for its students. So much, in fact, it is stated in their school’s mission statement. 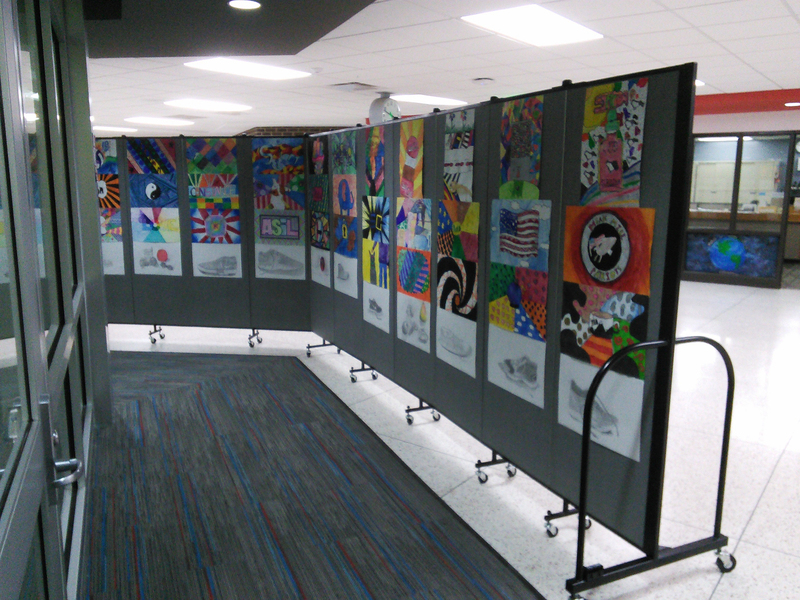 As a way to support this creativity, the school purchased Screenflex tackable walls to display the students’ middle school art on the portable panels. 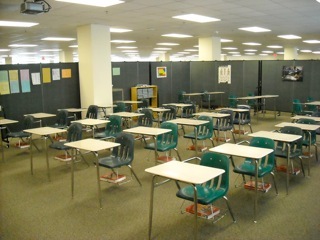 The walls roll on wheels so they are easy to move throughout the school. 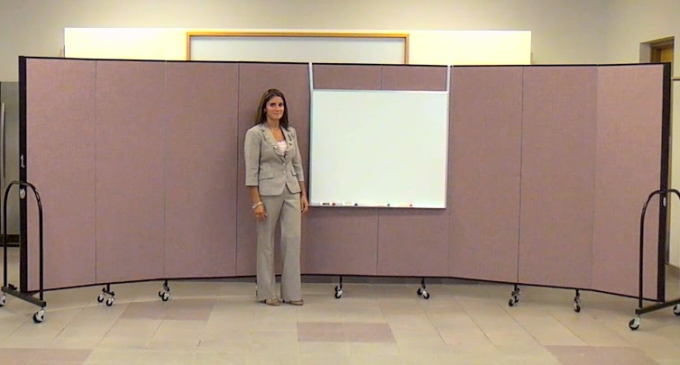 Simply lock the corner self-leveling casters to keep the temporary walls in place when using it as a display. 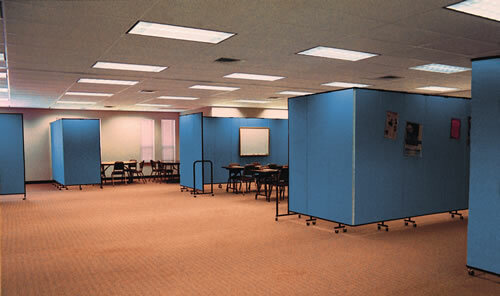 What we love about the image to the left, is how it shows the “other” side of the Screenflex Room Divider. 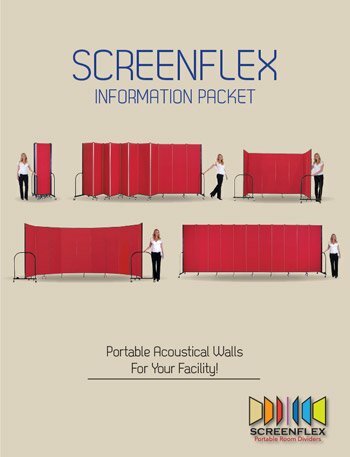 Yes, Screenflex walls are double-sided providing you with twice the amount of tackable display surface. 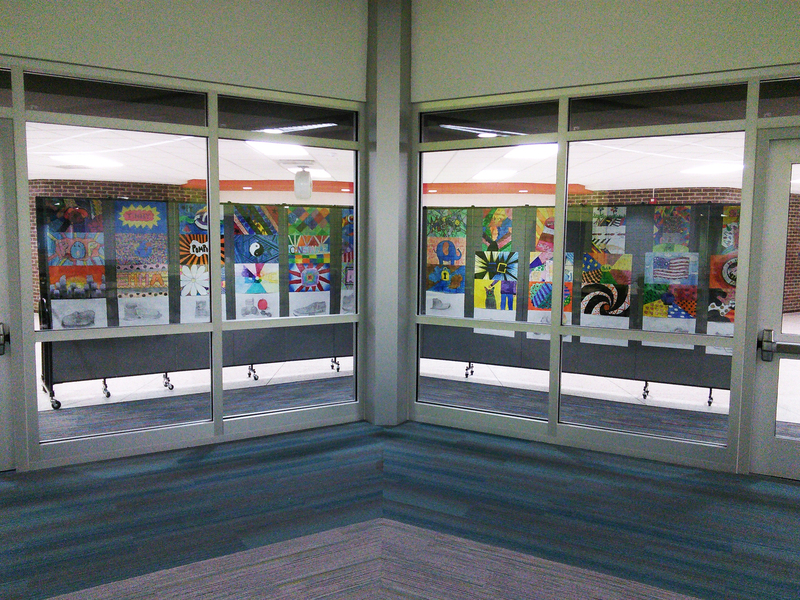 The image on the right shows how easy it is to place Screenflex dividers into any shape you wish to compliment your space. 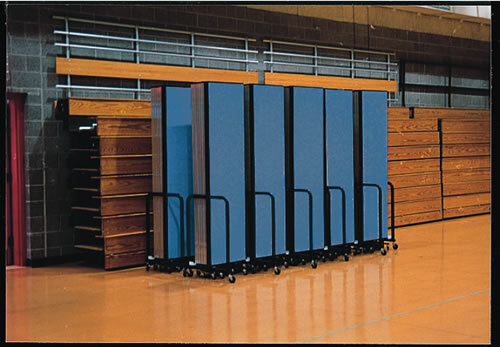 Our full-length piano hinges allow the panels to fold accordingly as well as to prohibit seeing between the panels to the other side. So, position away, straight, curved, “L”-shape, “U”-shape, on an angle. 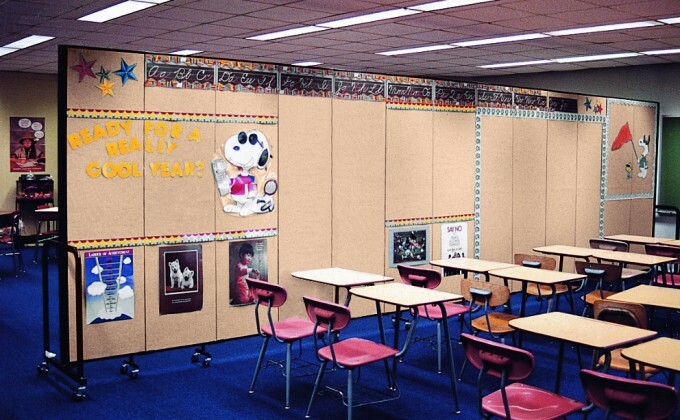 Have fun in exploring your configuration options.